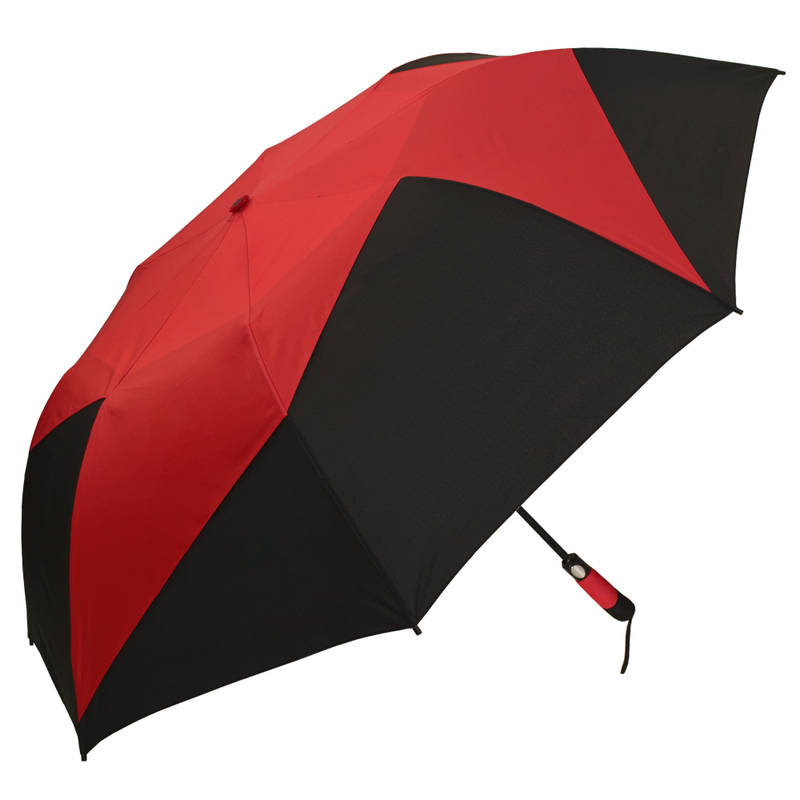 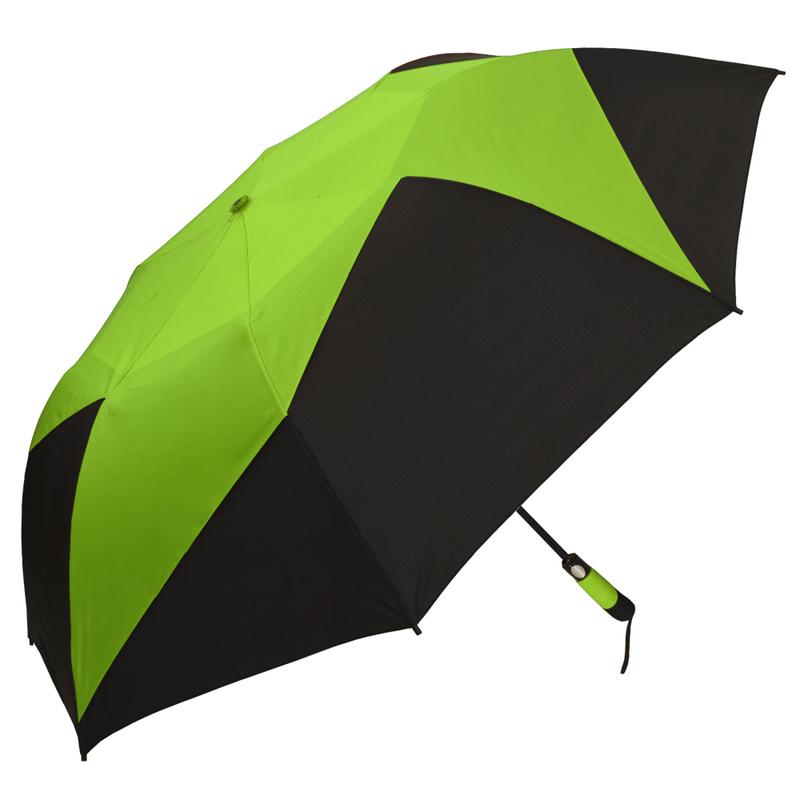 Take our Vented Pinwheel Umbrella for a spin! This golf-sized folding umbrella has a 58" arc, folds to 22" long and has a vibrant colored pinwheel design on top. For added extravagance to your brand, and oversized protection for when it's wet outside, the pinwheel has you covered.